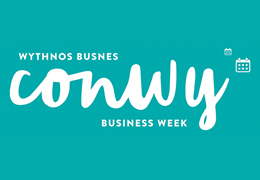 Conwy Business Week is running from 16th – 20th November 2015 and is an exciting new initiative aimed to help and support local businesses as well as promote the fantastic venues and businesses in the area. The week has been developed following feedback from local businesses with the majority of events being free or subsidised due to the support of sponsors, supporters and partners. Colwyn Bay has some fantastic free events taking place throughout the week which have been kindly organised and supported by Communities First and CAIS and sponsored by Colwyn Chamber of Trade. It takes 3 seconds to make a first impression; your windows need to make a great impression about your brand and store. To entice customers into your shop, your windows are your greatest asset! Learn about brand messages, window calendars, and how to introduce themes and schemes to attract new and existing customers. If you are considering renting office space, retail premises or industrial units of your own, this session will outline the information you need to know as a tenant. Even if you’re not quite ready to make the move, come along to find out the questions you’ll need to ask when the time is right! Confused about planning? Not sure what Use Classes are? Have you found your perfect business space but need to make some changes? Wondering whether planning affects you? Come along to ensure you’re on the right track, ask questions, and make sense of the jargon! Are you thinking of selling your products online? Don’t know how to start, or what you need to consider? Enter Hippo Toys – a local trader with first-hand knowledge of online selling through Amazon, eBay and their own website. Don’t miss this opportunity to ask questions, get tips and advice and learn from their mistakes to give your online selling the best start. Sid Madge joins us to ask: what is a brand? Why are brands important? Where do we experience them? Find out how branding is important to your business, and what you can do to improve yours.